If you want an entry-level NAS box then I will recommend you the Synology DS218j, because you really fall in love with DSM OS. Also, its very easy to operate and handle. Synology is not a new name in the world of NAS (Network Attached Storage). They have a wide range of NAS boxes, Survellience & Networking products, Application & Services, and other Accessories. 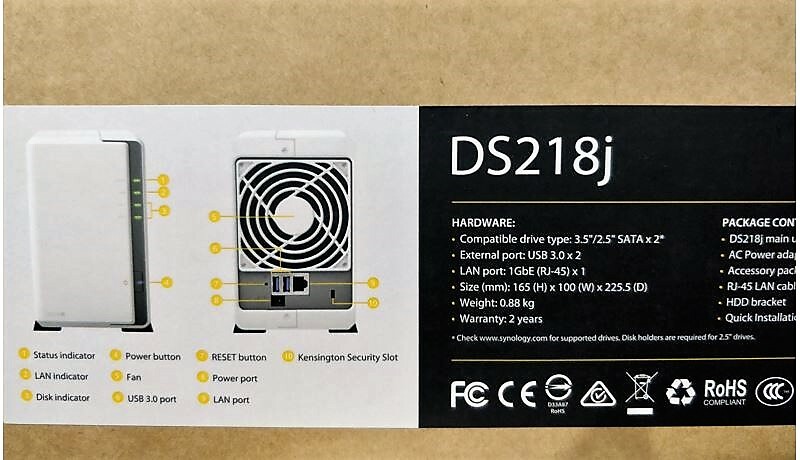 In their category of NAS boxes, the DS218j is an entry-level NAS box. It looks almost similar to the Synology DS216j & DS216se but enhanced in terms of specifications and can be considered a successor of these two. 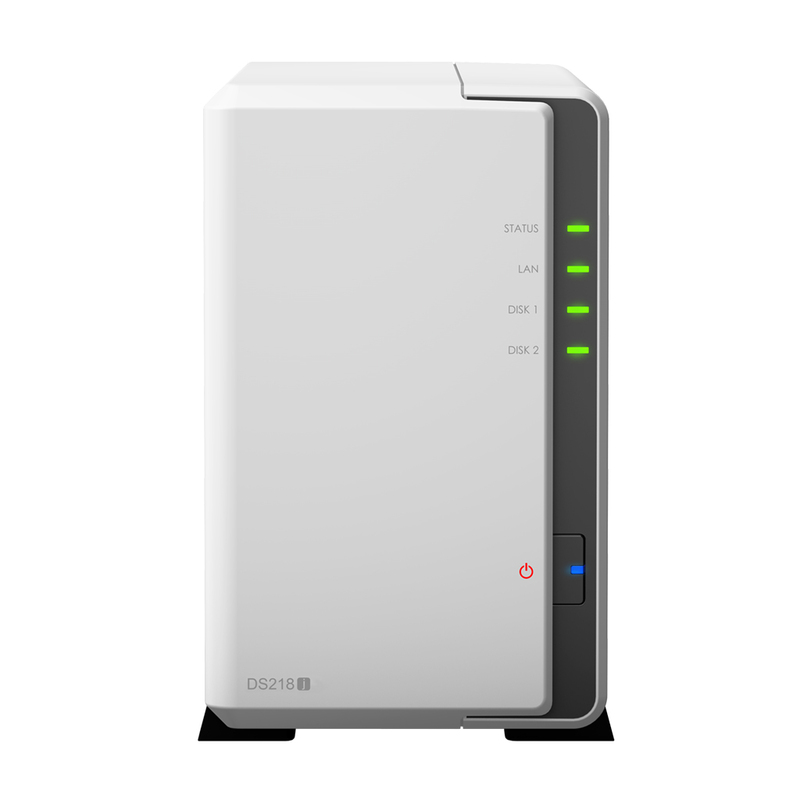 This entry-level 2-bay NAS is suitable for homes, offices and personal cloud storage. 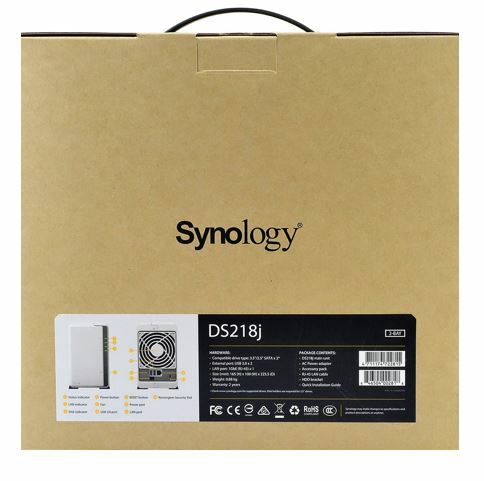 After using the Synology DS218j for around 20 days here is our review. The box of Synology DiskStation DS218j comes in just a regular package with a brown color that labels all key information a person needs to know about the product. 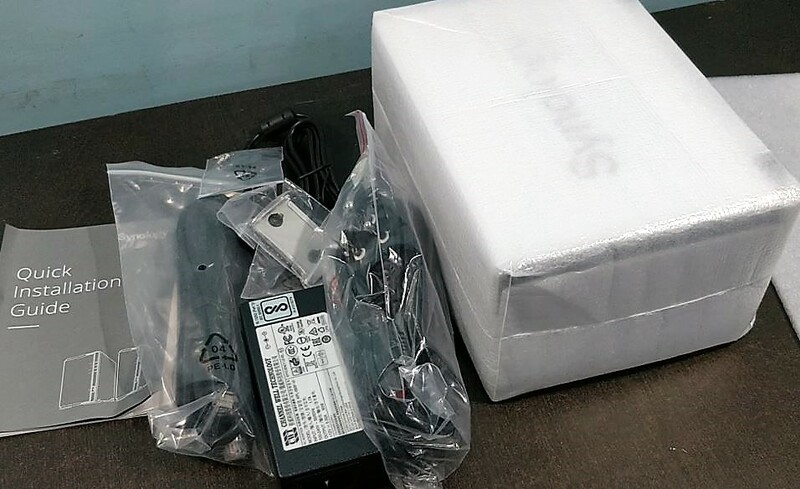 For example, a label on the box that describes key hardware specifications and also highlights its externals features and ports names like Status indicator, LAN indicator, Disk Indicator, Power button, FAN, USB 3.0 port, RESET button, Power port, LAN port, and Kensington Security Slot. 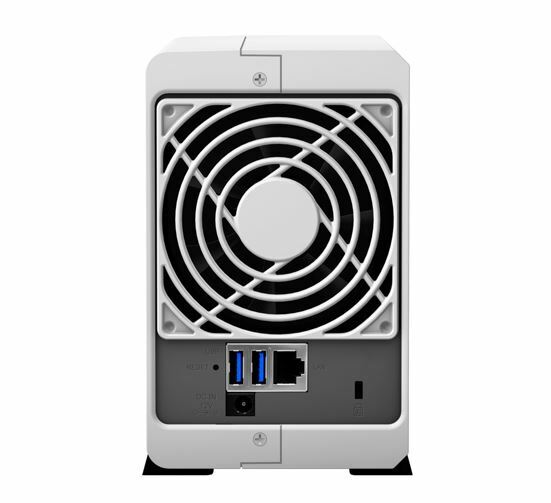 The Synology Disk DS218j is light-weight NAS box in white color. Its design is very sleek, compact and has a glossy surface. If you talk about its measurement, the height of the NAS box is 165mm, 100 mm in width and 225.5 in length or depth. The front side of the box is all white except the bezel on the right side that holds all the LED indicators along with NAS ON/Off button; aligned vertically. While the back side, holds all the ports on a dark silver color metal piece and just above that you will find the 92 mm x 92 mm fan vent. The bottom side of the NAS has four large rubberized foot pads including one vent situated just below the front panel to dissipate heat. If you want to RESET the NAS then a small hole with a reset button is also provided on the back side of the NAS which you need to press for around 4 seconds and a beep will appear as a feedback. To add a drive into the NAS; you will not find the doors that usually appear on the NAS boxes those slide out the drives. 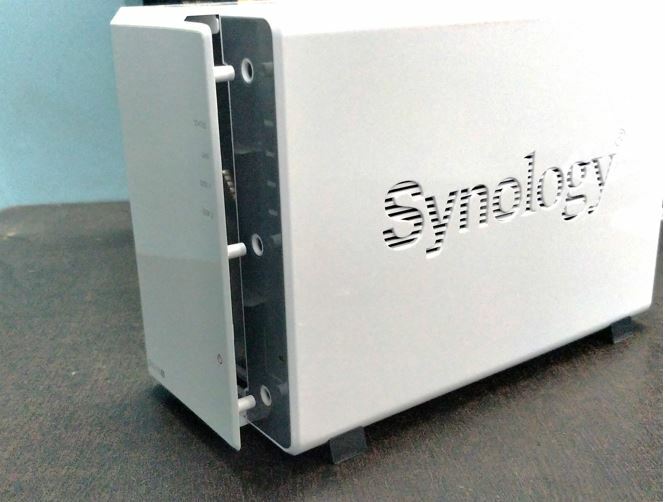 Instead of that on Synology DS218j has a cut on the body from where the whole body can be separated into two pieces. Now, to access the drive bay, you need to push the half of the right portion of the NAS box as shown in the image below. Fan Speed Mode: Full-Speed Mode, Cool Mode, Quiet Mode, and Low-power Mode. 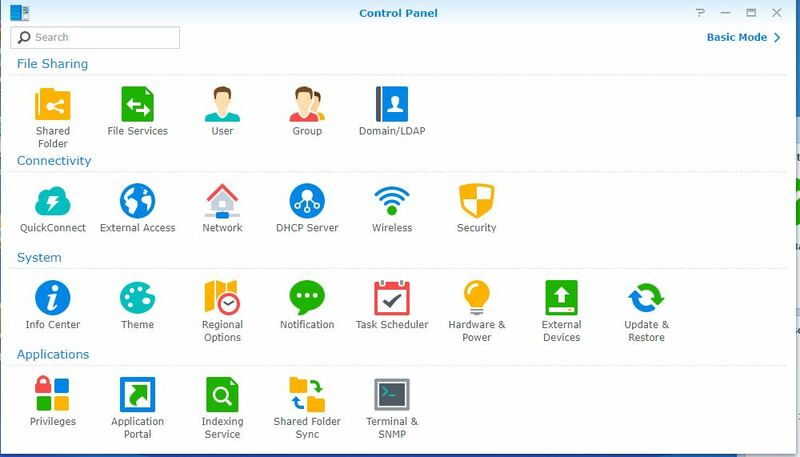 Read About: How to set up and install Synology DS218j NAS in detail. Synology DS218j DSM (Diskstation management) operating system. Synology runs on one of the most popular and top NAS OS which is DSM (DiskStation Manager) OS. 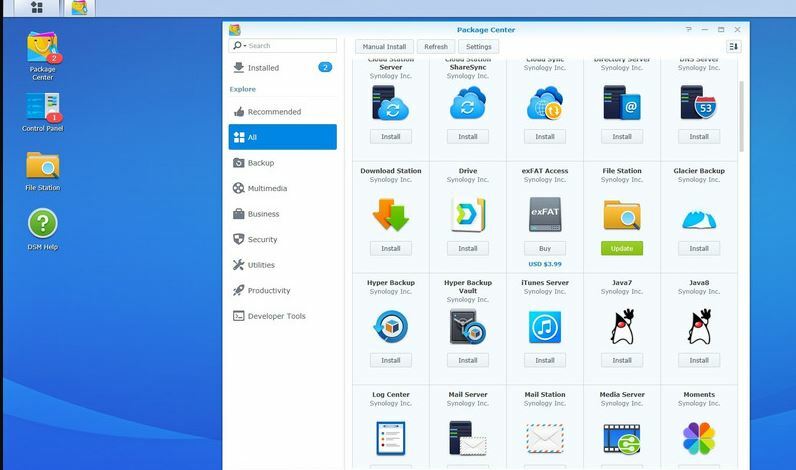 Synology keeps updating the OS and also intermittently add more features and apps for better productivity. However, some features of DSM OS such as real-time transcoding and Btrfs file system are not available in the J series of the Synology. The interface of the OS is very clean with only four icons on the screen- Package center, Control Panel, File station, and DSM help. From the package center, you can install various apps to make your NAS box more than just a storage box. You use install iTunes server, DBS Server, WordPress, Web server, e-commerce, Media server apps and more. Total there are around 96 apps combining both Synology and third party. I would especially like to talk about the Cloud station provided by the Synology. It allows users to back up the data in real time from different computers to the NAS box. It works with Cloud Station Backup and Cloud Station Drive. If you have installed the Cloud station drive on your system then it turns your NAS box into a personal Google Drive or Dropbox. You can choose a folder from your computer that continuously syncs it with the NAS box and creates a saved copy of your important work that you can access from anywhere. Download Station is also a handy tool for managing the downloads. It allows the user to directly download things from the internet on the NAS storage. Even with the DS app, one can directly download the torrent files to NAS by just copying the torrent URL into it. These are just two. There are many other apps present on the DSM package center to help you enhance your productivity without adding a dedicated server machine for different tasks (but not for large-scale tasks though). Under the Control Panel, basically, it is the place where the user can find all basic to advanced options to play with NAS. The Control Panel has two modes: One is basic and other is Advanced mode. The difference is nothing, the basic mode show only a few options while the Advance one has all. The Control Panel is divided into four sections: Files Sharing, Connectivity, System, and Applications. Shared Folder: It is basically used to create & share a folder. You can also encrypt the shared folder but that will slow down the read and write speed. The maximum number of shared folders it supports is 256. While for syncing tasks, the maximum supported folder value is 2. Also, the maximum concurrent CIFS/AFP/FTP connections it can handle is 100. File Services: It can be used to set the different file-sharing services or protocols such as SMB/AFP/NFS, FTP, TFT, Rsync, Bonjour, SSDP. WS-Discovery. User: By default, the admin, Guest, and the user (one that you created while setting up the NAS will be here). If you want to add more users then you can do it from here. Also, you can set the storage quota, file permission, group, Application access, and speed limit per user. The maximum number of users the NAS supports is 1024. Group: If your NAS is accessed by multiple persons then you can define a group with limitation and access permissions. For example, if a company has different departments then you can create a group called Accounts in which you can add all old and new Account department employees with the same kind of permission over a folder on the NAS. In this way, each department can be divided into groups with a certain level of different permissions and roles. Maximum Local Groups, it supports is 256. Domain/LDAP: Advanced options can be used to connect the NAS into a particular Domain or LDAP ( Lightweight Directory Access Protocol). The Connectivity section provides Quickconnect; which can be used with the Quickconnect ID created while setting up the NAS to connect it remotely. Other options are DHCP that convert the NAS to distribute the IP address within the network, Wireless: convert your NAS box into a hotspot but needs an external USB Wifi adapter and Security that consists of General, Firewall, and other security options. 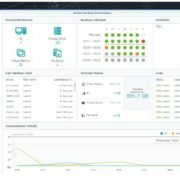 The main menu given on the left side top of the Synology Web interface provides quick access to storage Mangement, Resource Monitor, and more. It is the place to manage the attached disks and RAID configuration. The maximum internal Volume number supported by the NAS is 256; maximum iSCSI Target Number is 10, maximum iSCSI LUN is also 10. 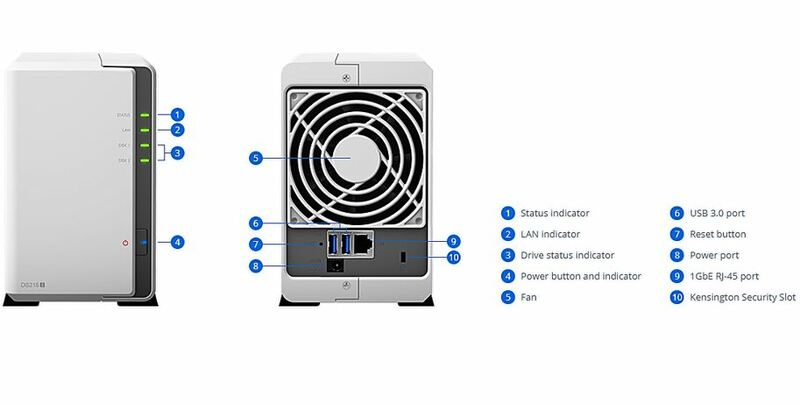 Types of the RAID it supports are Synology Hybrid RAID, Basic, JBOD, RAID 0 and RAID 1. 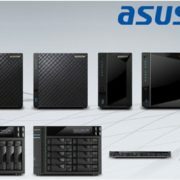 RAID Migration Basic to RAID 1 is also supported by the DS218j. If you already have one drive in the NAS box and planning to expand the storage volume by adding large capacity drive then Synology Hybrid RAID and RAID 1 can be used to handle that. 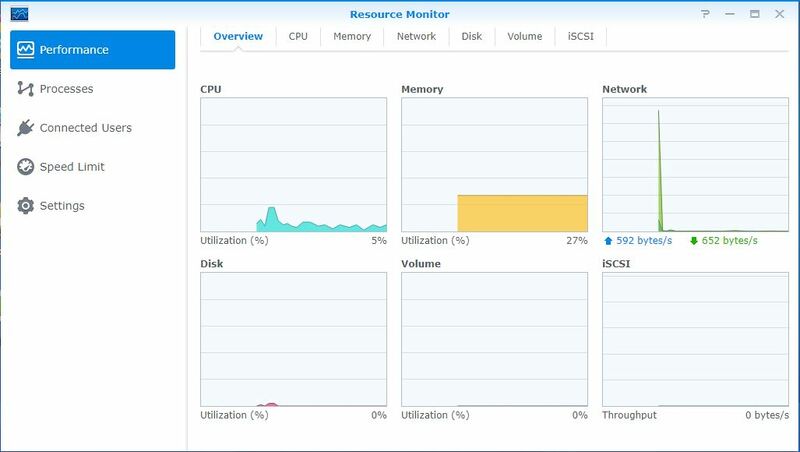 You can check the resource consumption of the NAS such as CPU, Memory, Network Disk, Process, Connected users and more. Identification of the user that is consuming the highest bandwidth can be found out from here and an admin can take relevant steps to push the restriction in order to minimize the latency for other users. Supported Network protocols are CIFS, AFP, NFS, FTP, WebDAV, CalDAV, iSCSI, Telnet, SSH, SNMP, and VPN (PPTP, OpenVPN, L2TP). Supported Browsers: Chrome, Firefox, Internet Explorer 10 onwards, Safari 10 onwards, Safari (iOS 10 onwards) and Chrome (Android 6.0 onwards). There are many other apps & features like Video station, Music station, Media server and more available on the DSM and it is not possible for me to explain each and every one in a single article. Overall, the DSM NAS OS is the thing which differentiates Synology from other NAS manufacturers. 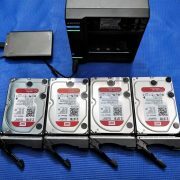 To Test the Synology NAS DS218j we used a 4TB WD RED NAS hard drive. We ran four tests using LAN and WiFi. The router used in the test was of TP-Link. 200 MB document files like doc, excel, text and more. 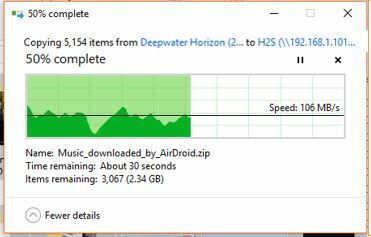 The maximum transfer speed we got while transferring the file from PC to NAS was around 102 MB/s which basically is a good write speed and if you talk about the read speed (NAS to PC) then it is 106 MB/s. Basically, the speed also depends upon the router, and type of drive. However, the average speed and maximum write speed was between 65 MB/s and 70 MB/s respectively. What we got was close to the speed claimed by Synology and also make it a fast NAS box. However, using an encrypted folder feature will significantly drop the average speed of NAS by around 20% to 30% as compared to the regular speed. Also, note that the largest RAID 0 capacity of this NAS is 16TB, so if you planning for more, then it not going to support that. Moreover, if you have a drive with some data then make sure to back that up because when you install the software in the NAS, for using it, the DS218j will remove all your drive’s existing data. The price of Synology in India is ₹ 19,949 and comes without a drive. It means you need to buy the drives or you can use the SATA drive you already own. The maximum single volume size it can support is 16TB. Although the price seems a bit higher if you compare it with the Western Digital My Cloud Western Digital EX Ultra because it comes with two 4TB NAS drives, available at ₹24000. But things which give Synology a priority are if you planning to buy a NAS, Synology has a good experience of NAS manufacturing, DS218j provides good performance and DSM OS which is the best in class. It is not just a NAS box but a full package of server applications including developer apps. Therefore, if you only need a backup or storage device then you can go for other options such as WD but for proper NAS experience, Synology is the option. So, if you want an entry-level NAS box then I will recommend you the Synology DS218j, because you will really fall in love with DSM OS. Also, its very easy to operate and handle.